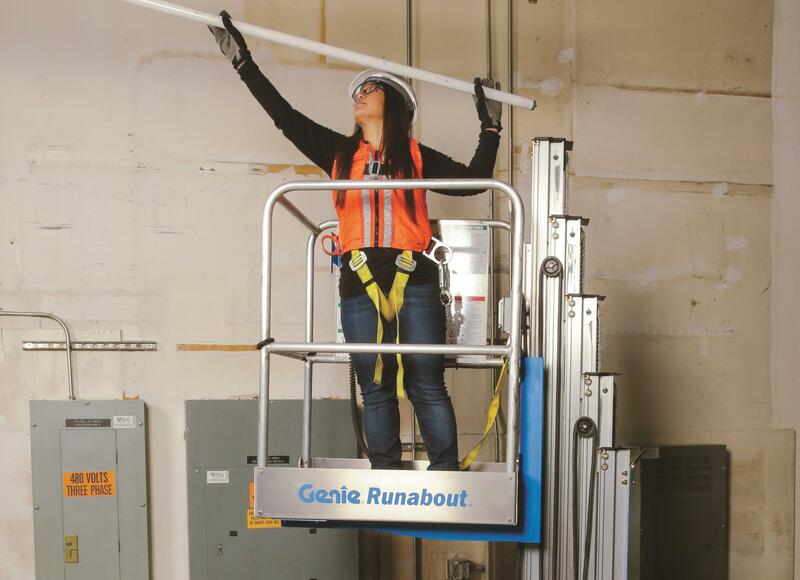 GENIE GR12 RUNABOUT Powered access Platform by Working at Height Ltd. The Genie Runabout range of compact self-propelled powered access platforms offer a safe and speedy means of access to high level. Solving working at height issues in many industries, ideal for work at height in schools, colleges, sports centres, shopping centres and industry in general, Genie access platforms have been designed with a knowledge of customer needs over many years and your working at height problems, so Genie aerial work platforms are access platforms that have evolved over many years of customer feedback and the Genie access platform continuous improvement programme.